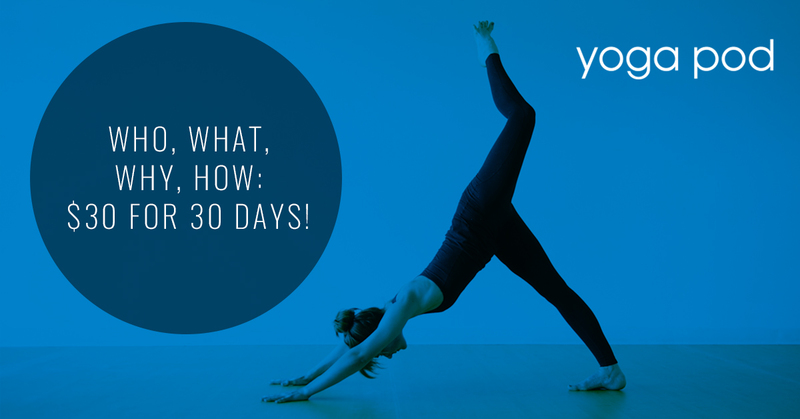 It might seem like an exaggeration to say that 30 days of yoga can change your entire life. However, according to psychologist Jeremy Dean, author of the best-selling Making Habits, Breaking Habits, it takes us 21 days to form new habits. This means that in just three weeks, you can fundamentally alter your neural pathways so that something once foreign becomes routine. This science is part of the reason that Yoga Pod Boulder decided to switch from a free week to our $30 For 30 Days promotion. While a free week was a nice introduction to our studio, it was just the tip of the iceberg — after all, you can’t really form meaningful habits and connect to a new community in just a few days. We want to provide a more detailed overview of Our $30 For 30 Days at Yoga Pod Boulder, so you know what to expect as you unroll your mat. Who Can Participate in $30 For 30 Days? Anyone new to Yoga Pod Boulder is eligible to sign-up for $30 For 30 Days! Whether you’ve practiced for years or are totally new to the world of yoga, we have a yoga class schedule built for all levels. 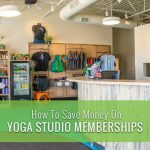 If you’ve already tried Yoga Pod Boulder but want more information about membership options, you can purchase class packs online or stop by our studio! What is $30 For 30 Days? As we mentioned above, $30 For 30 Days is our introductory promotion for new members to Yoga Pod Boulder. For just $30, you have access to unlimited yoga classes. That means you can choose from our nearly 100 weekly yoga classes for an entire 30 days, get a feel for our yoga studio, and develop a healthy routine. You’re Sick of Your Yoga Routine — when you’re an established yogi who’s been taking classes for years, the yoga routine can grow a bit boring. There might not be anything wrong with your home practice or studio, but it’s just time for a change of pace. Signing up for $30 For 30 Days means you can refresh your practice and get involved in a new community without the long-term commitment of a membership. You’ve Never Practiced Yoga — trying 30 days of yoga for just $30 is one of the best ways for new yoga students to get a feel for the practice, become more comfortable in a space, and see if a yoga studio is right for them. Instead of just a week, where you might take a few beginner classes, a full 30 days gives you the chance to get stronger and really experience the health benefits of yoga. You’re Looking for a Community — maybe it’s your first semester of college or maybe you recently moved to Boulder for a job. Whatever the reason, yoga is an exceptional way to get involved in the Boulder scene and to meet like-minded people. Plus, our yoga studio prides itself on being welcoming and inclusive for everyone. All you need to do is fill out an online registration form or use an existing MindBody Online profile if you have one. You can always just stop by Yoga Pod Boulder to sign up and take your first class. 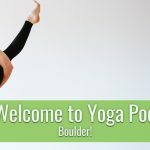 We’re so excited to see you on your mat, and we can’t wait for you to become a part of Yoga Pod Boulder!